Lee at Wizard World Comic Con in New Orleans back in January. 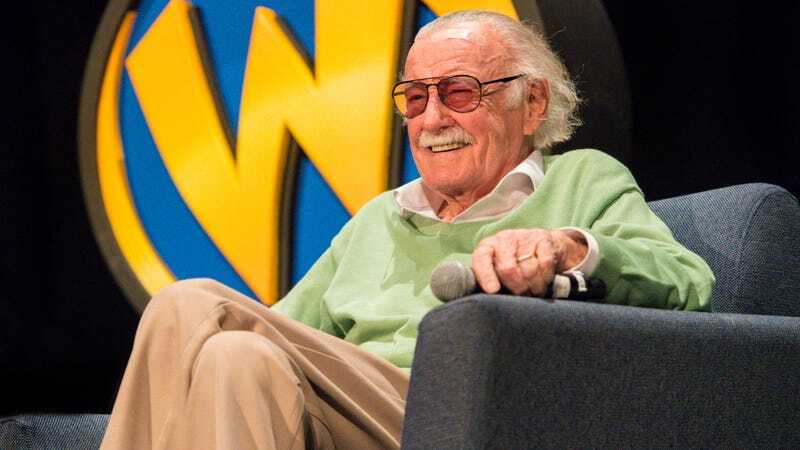 Stan Lee is a hero to millions, and the characters he created, like Spider-Man, Black Panther, and Doctor Strange, lead some of the most popular (and profitable) films in the world today. But while his creations are thriving, the 95-year-old Lee himself has allegedly fallen into a distressing pattern of financial exploitation and potentially even elder abuse, perpetuated by those who claim to look out for his best interests. At the center of Lee’s problems is his 67-year-old daughter J.J. Lee, who, as is alleged in an extensive and damning Hollywood Reporter investigation into the financial and personal drama that’s surrounded Lee in recent months, freely spends her father’s money, sometimes to the tune of $20,000 to $40,000 a month on credit cards. When J.C. wants more money than the trust her parents arranged for her will provide, she can allegedly be verbally abusive and emotionally manipulative towards her father. Apparently, Lee’s late wife Joanie was able to control J.C., but ever since her death last July she has gotten out of hand. In an attempt to rein her in, back in February Lee went to his longtime attorney Tom Lassas’ office and signed a declaration describing his problems with his daughter and condemning three men with “bad intentions”—Jerardo “Jerry” Olivarez, Keya Morgan, and J.C.’s attorney, Kirk Schenck—who he says insinuated themselves into his daughter’s life in order to “gain control over my assets, property and money.” Soon thereafter, Lassas was mysteriously fired, in a confrontation that led to the LAPD being called to Lee’s home. Now Lee is allegedly being controlled by Morgan, J.C., and her attorney Kirk Schenck. Lee’s personal nurse Linda Sanchez, who expresses concern for his well-being to THR, has also been ousted from Lee’s inner circle, after Morgan and J.C. spread rumors that she was carrying his child, claims Sanchez vigorously denies. (It’s not clear from THR’s story if Sanchez’s firing is connected to claims of sexual harassment we reported in January, but it does call the veracity of those claims into doubt.) As recently as March 15, employees at Pow! Entertainment, the production company Lee co-founded in 2001, called the LAPD after Morgan and J.C. went to Lee’s office and removed items in the middle of the night. And with Lee making fewer public appearances, and reportedly appearing tired when he does go out, unless something drastic happens soon, the last chapter of this comic-book legend’s life may very well end up being a tragic one.